I’ve been trying out different shop building websites for a couple of months in anticipation of moving Platinum & Rust to its own site. Yesterday I found one that allows me to seamlessly connect my etsy listings to a shop-able website. This is important to me at this time, as etsy is currently where I list and sell all my vintage items; since I only have one of any particular garment or accessory, I need a way to control the availability of products across multiple platforms. 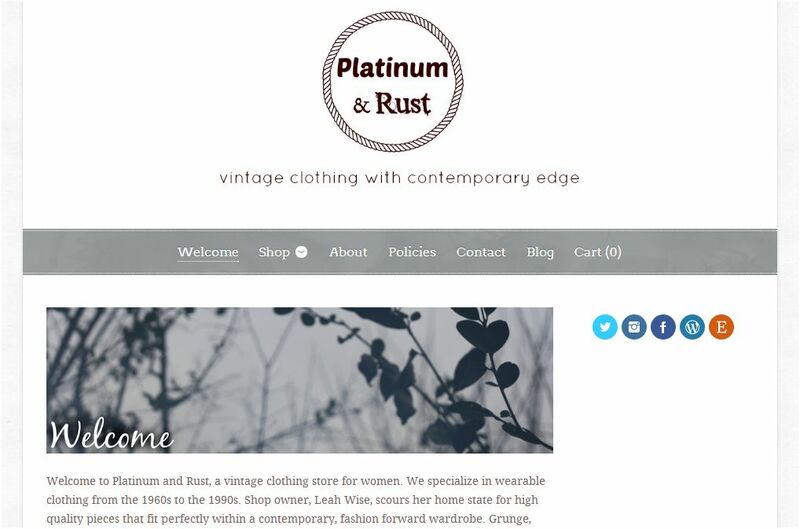 It’s with great pleasure that I introduce platinumandrust.com to you. You’ll have access to all products currently available for sale, as well as detailed information about my company in About, Policies, and Contact tabs. 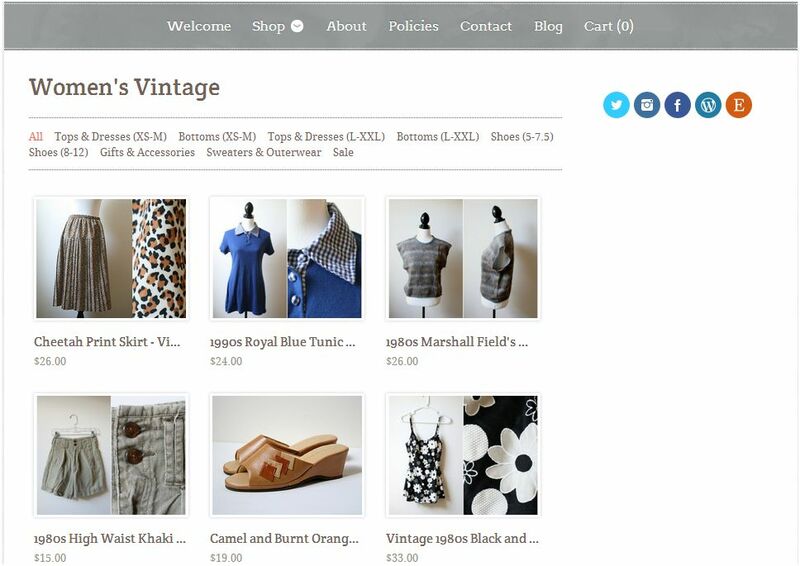 In the near future, I plan to expand to offer handmade and fair trade items in addition to vintage.